After an accident, it can feel as if your life has turned upside-down. A serious personal injury can leave you out of work, unable to pay medical and other bills and even render you permanently disabled. With mounting medical expenses, your credit may be affected. You are concerned about short- and long-term future, providing for your family and getting back on your feet. If you have been hurt due to another party’s negligence or wrongdoing, you are entitled to compensation. Even though there is no way to rewind the clock, the Law Office of Jim Davis is dedicated to obtaining the fair and just compensation you deserve for the losses you suffered. Our firm provides aggressive and dedicated representation to individuals and families throughout the Mississippi Gulf Coast region who have suffered injuries caused by car accidents, medical malpractice, slip and fall injuries, workplace accidents and construction site accidents. We understand that after an accident, you may feel as if you have lost control in your life. We want to help you get it back. Our goal is to maximize your compensation for your physical and financial losses, including property damage, pain and suffering, lost wages, medical expenses, and long-term care needs. 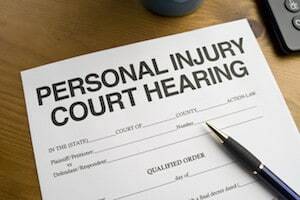 Contact us for a consultation about your accident today. Motor vehicle accidents can result in catastrophic injuries including head and neck injuries, back injuries, paralysis, even wrongful death. When you or someone you love has been hurt in a car accident, truck accident, motorcycle accident, boating accident, or as a pedestrian or bicyclist, turn to Jim Davis to effectively protect your best interests in dealing with the insurance company. Contact us today. For all personal injury cases, you do not pay unless we recover a settlement or verdict in your favor. It is important to remember that the insurance company’s main goal is minimizing the amount they have to pay to you — or even deny your claim altogether. Don’t jeopardize the compensation to which you are entitled. Make sure you have experienced counsel fighting in your corner. Contact the Law Office of Jim Davis for a consultation with an experienced car accident and personal injury lawyer. Call our Gulfport, Mississippi office today at (228) 864-1588 or toll free at (877) 576-7279. There is no fee unless we recover for you.